THOUGHTSKOTO Thoughtskoto : OFW Pre-Employment Medical Examination: What Tests An OFW Wannabe Should Pass? OFW Pre-Employment Medical Examination: What Tests An OFW Wannabe Should Pass? What sort of tests do you need to pass if you are aspiring to be an OFW? Well, it will take more than wit and skills. You need to be perfectly functional if you want to work overseas whether you want to work on board a ship or land based. You need to be sure that you are fit to work. You should know what could hinder your plan to work abroad. First, you must need to know the essential facts about the medical exam. 1. When do you need to take the medical exam? Medical exam should be taken after you passed the final interview and you already got your job offer from the principal employer or in some instances, after signing your job contract. If your agency asked you to have a medical exam even before the interview, withdraw from that recruiter at once. 2. Medical tests that you need to pass. The medical exam for aspiring OFWs usually has 2 parts or phases which can be completed in a day. 3. The medical tests vary per country. 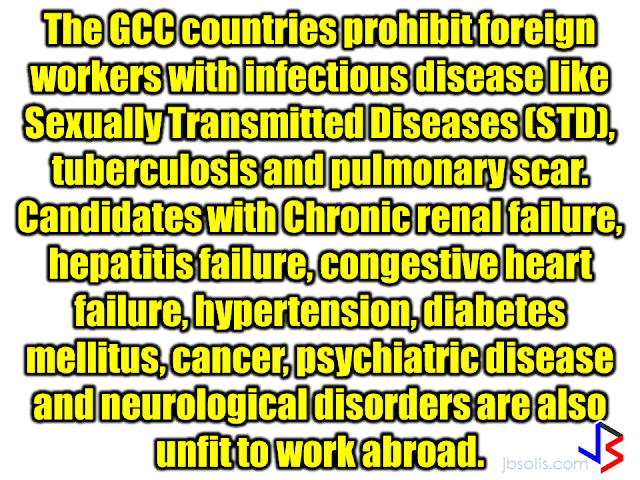 Those who are bound to Middle Eastern countries or the GCC, which includes Bahrain, Oman, Kuwait, Qatar, UAE, and Saudi Arabia has to comply with the standards set by the GCC Accredited Medical Clinics Association Or GAMCA. For OFWs bound for Qatar or Kuwait where they are not issuing a block-visa, a pre-medical is required. For Saudi Arabia where they can transfer visas to another person if they found you unfit, a pre-medical is not required. *Note: If you are bound to Middle East, they still do not rely on the medical exam you underwent in the Philippines. They will run another series of tests to determine if you are indeed fit to work. 4. Medical exam results expire. Medical certificate is only good for 90 days. If you are not deployed within that period, you may need to take another medical exam. 5. The medical result is very important for the job order. Passing the final interview or having the right skills does not guarantee you that you will get hired even if you already signed a contract. If your medical test shows that you are not fit to work, your job offer can be cancelled. If you are being scheduled for the medical exam, you need to eat healthy. A day prior to the exam, they will advise you to do a fasting at least 8 hours before the laboratory tests. Don't you worry, after you are done with the laboratory exams, you can already have your meal. Some advices I got from "older" OFWs was to drink a can of sterilized milk before bed time and a glass of pineapple juice in the morning three days prior to the medical exam schedule. I am not sure if it does work but I got a "fit to work" stamp on my medical certificate. Health is wealth. And if you want to get the job you want, you need to take care of your health. 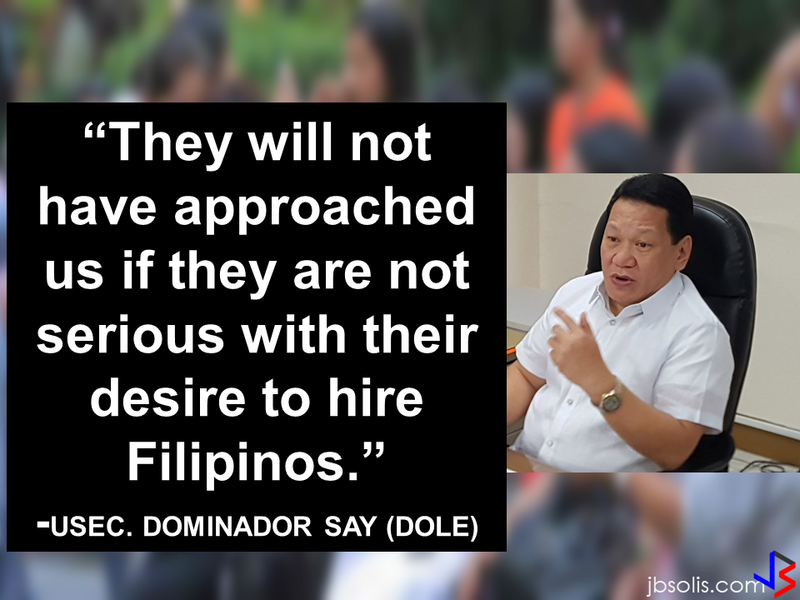 After all, for OFWs like us, it is not really only for ourselves but for the future of our sons and daughters.